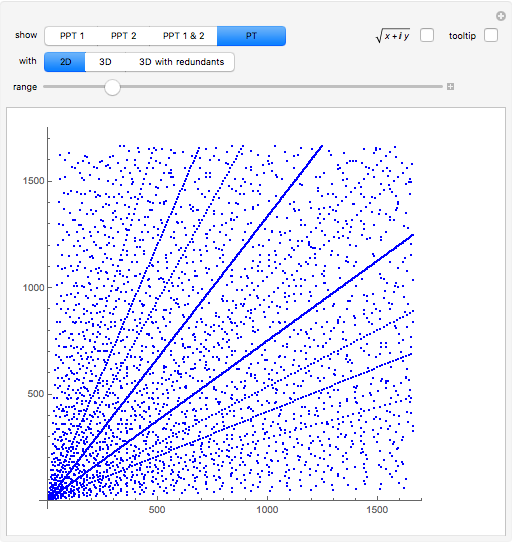 This Demonstration plots primitive Pythagorean triples (PPTs) to make lovely, interesting patterns in the - plane. The details provide definitions to classify all triples that are solutions of the Pythagorean formula in integers. 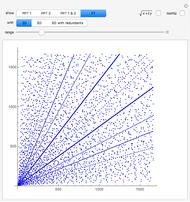 The 2D plot shows integer points that satisfy this equation for some integer . 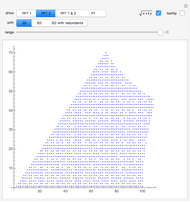 Let be a Pythagorean triple (PT), that is, , , and are positive integers such that . 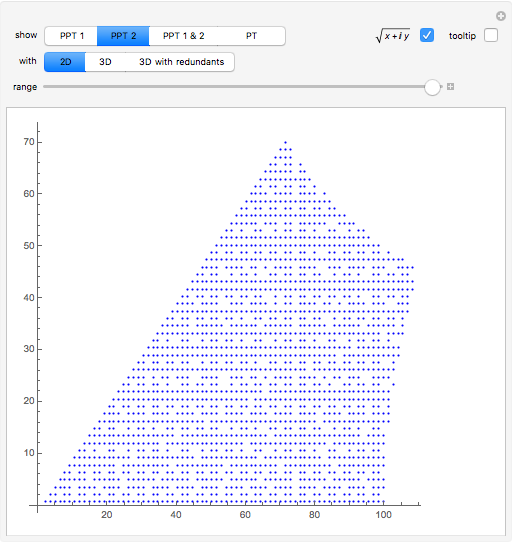 A primitive Pythagorean triple (PPT) is a PT with . Redundants are solutions that allow , , and to be negative. This Demonstration illustrates all 16 solutions, and . PPTs can be given unique base-3 ID numbers. 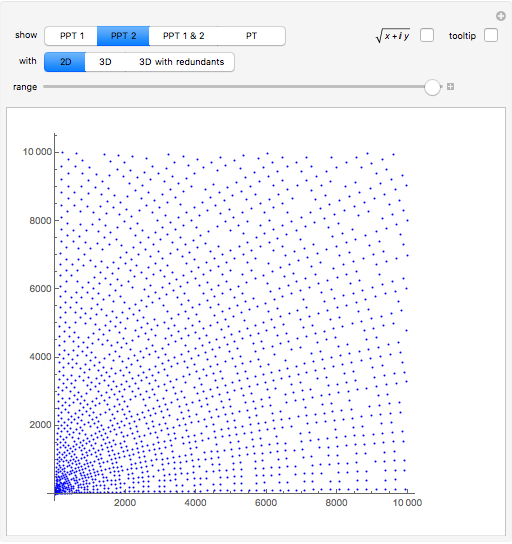 See the Demonstration "Primitive Pythagorean Triples 3: Ordered Tree Graph" for the definitions. Click "PPT 1" or "PPT 2" to see the subset of PPTs with base-3 ID numbers beginning with 1 or 2. 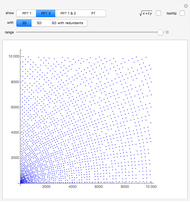 Robert L. Brown "Primitive Pythagorean Triples 1: Scatter Plot"